Homework is an important part of study, but it can be overwhelming for a TEFL teacher with a mountain of exercise books to mark. To avoid this, smart ESL teachers should set some (if not, the bulk) of their ESL homework assignments as independent study which the teacher does not have to correct. 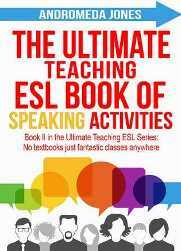 Why set no-marking ESL homework? First of all, you are not short-changing your students by asking them to go out and learn some English themselves. Languages are an enormous subject; there is no way that you could teach your students everything they need to know in the few hours a week they have with you. In reality, if your students want to get good at English, they must listen, read, watch and practice the language in their own time. No-marking assignments have benefits for class time also. Students can recap on the last class or prepare for the next one by watching grammar videos. Teachers can use material from a podcast or video as the basis of a speaking activity. This is why, I believe, that TEFL teachers set a no-marking study assignment at least once a week. It’s better for your students, your classes and your own sanity. Podcasts are a great way to practice comprehension. In additional, the material can be used for speaking practice the following lesson as students share with each other what they have learnt from the episode. Do not choose a podcast that is too long. Four to 10 minutes is the sweet spot – anything longer your students will get confused and the task will become a chore. Do not choose a podcast which speaks unnaturally slowly or with a childish topic. Students need to get used to the normal pace of speaking and how native speakers actually use the language. OK, so granted, ESL podcasts do have to be simpler but anything that is overly contrived is a waste of your students’ time. Do not use a website that requires flash player to play an MP3. Access to any homework material should be really, really easy or you’ll find that half your students won’t complete the assignment. This is without doubt the best EFL podcast on the list and the one that I use time and time again. Updated weekly, Six minute English provides fun and interesting ESL podcasts on topics such as culture, technology, travel, business and more. They’ll always include at least three new phrases to learn and after listening, students can check their understanding with the transcript. The first homework is www.podcastsinenglish .com. This site provides free three to five minute podcasts for English learners for beginner, intermediate and upper-intermediate level. To practice comprehension and expand vocabulary, tell your students to listen to two podcasts a week and write a summary of what they hear. To do this effectively, they’ll have to listen a few times. Negative: The podcasts are free but to read the transcript students must pay for the premium version. CNN 10 is not an TEFL podcast, it is a real news show which condenses world news for that day down to 10 minutes. Despite this, it provides a great way for higher-level students to practice their listening skills while keeping abreast or world news. The video can be accessed in the CNN app and students can read the full transcript afterwards to check their understanding. Negative: Not made for ESL and so speech can be fast. Elllo provides thousands of free English video lessons and ESL podcasts on everyday English conversation. The podcasts consist of a dialogue between two people about an everyday topic. They are short and sweet but there are thousands of them and so you could ask your students to do one a day without much time commitment from them. The best thing about ELLLO podcasts is that students can check their understanding with the transcript AND a quiz. Negative: Podcasts are under three minutes. TED provides thousands of videos about technology, education, politics, science and culture. In my experience setting a TED talk for homework can be hit and miss. Sometimes I’d set a TED video and everyone would love it and other times they’d complain that it was too long, too fast or too confusing to understand. Choose a video which is no more than 10 minutes long. You can separate talks by duration, topic and language in the talk tab. Check that the speaker isn’t speaking too fast and the accent isn’t too thick (native speakers are best). Another way to do this is to choose a theme such as ‘business’ ‘finance’ ‘or ‘crime’ and ask your students to select and watch a TED video on the subject. Centre your following class around this theme and give your students 10 to 15 minutes to recount their video to their partners. This is a great way to reinforce the lesson vocabulary and engage your students with the topic. TED ED: A much better choice! A much better choice of listening is TED ED. TED Ed is full of short educational videos about science, culture and history. You’re students will be able to follow the listening much better because along with the speaker’s voice there are animations to help tell the story. Best of all the videos are only five minutes long and so it’s a homework activity that everyone has time to do. ESL Lounge provides short readings and gap fill exercises divided into elementary, pre-intermediate, intermediate, upper-intermediate and advanced. Students can check their understanding with a quiz at the end. Five minute English also provides short reading exercises. All activities come with a glossary of new words and a quiz at the end so your students can check their understanding. The only drawback is that the readings are not defined by level. Viewing video lessons to either recap on the last grammar class or prepare for the next one is another highly productive no-marking homework activity. Here are the best grammar video resources. ENGVID Provides bite-sized video lessons on most aspects of English grammar and lots of vocabulary points. Students can also read a transcript of the lesson and check their understanding with a quiz on their website. You need it, you’ll find it here. This Youtube channel has hundreds of videos on every aspect of the English language. If you’ve just finished a grammar topic, setting your students a few grammar quizzes is a good way to review the lesson. There are dozens of grammar quiz sites out there, but proceed with caution: many of these sites are spammy with annoying adverts and pop ups all over the page. They are difficult to navigate for a native speaker never mind a student. The BBC also offers a comprehensive library of grammar resources and quizzes for English learners. However, I haven’t included them in the list because you need a flash player to use them. The websites I have selected also have adverts but they are not invasive. They have also established sites within the TEFL community. This site provides a meeting point for TEFL teachers to ask and answer questions and share resources. A little known fact is that Dave’s ESL Café also boasts hundreds of quizzes on various grammar and vocabulary points, written by teachers. 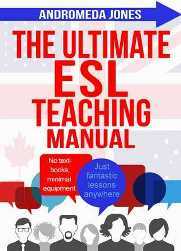 ESL-lounge is another well-known site for TEFL resources, it also has a library of grammar quizzes for students. The best vocabulary quiz I have found comes from The British Council Teens site. Here users must match pictures and words together to learn vocabulary. All words come with an audio so students can check their pronunciation. Writing is an essential skill and, as a TEFL teacher, you must set and mark writing assignments. But what if there were a way for students to practice writing independently as well? Do you remember when you were learning French or Spanish at school and your teachers encouraged you to start a correspondence with a foreign pen pal to improve your language skills? Well, the concept still exists. If a few of the class take it up, it can also become an interesting weekly speaking practice as you catch up on the news from their pen friends, and as a group, correct the grammar and spelling on their next correspondence. Pronunciation is often the blight of an ESL class. Bad pronunciation should be corrected, but if you have a large class it is often difficult to give that one-on-one attention to a student who is really struggling to improve. This is why asking your students to watch pronunciation videos and practice in their own time is a worthwhile homework exercise. Here are some of the best sites to learn. Rachel’s English undoubtedly provides one of the most comprehensive pronunciation resources on the web. Rachel will walk your students through all of the sounds in the English language. In addition, she has videos on the rhythm of English, elision (when speakers drop vowel sounds as they link words together in a sentence) and common idioms. Youglish uses YouTube to teach the pronunciation of any English word. Simply write the word into the search bar and Youglish will bring up a snippet of a video with someone using it. It is truly brilliant. Teacher Jamie teaches students all the common sounds in the English language. If your students want to sit the Cambridge English exam then they can find everything they need to prepare with Flo-Joe.com. Here students will find a rich archive of free listening, reading, speaking and writing papers from each exam level. Listening and reading exams come with their own answer keys for self-correction. The writing paper, however, will have to be corrected by the teacher and speaking practice done in class. If your students are taking the IELTS exam, here are three resource sites where students can practice with past papers, complete with an answer key. Again any writing practice will have to be corrected by the teacher and speaking practice done in class. So these are my go-to sites for no-marking TEFL assignments. Have a I missed one? Do you know of an amazing podcast or ESL resource site that could benefit your fellow ESL teachers? Write it in the comments below and if it’s good I’ll include it in the list. 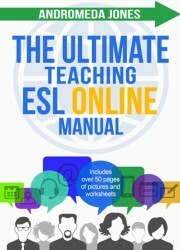 For more resource sites check out Free TEFL resource sites for your ESL students. Good luck and happy teaching!